For the love of G-d, please shop here! Time has not been kind to the somewhat high-end mall that not long ago was the standard-bearer of London retail. 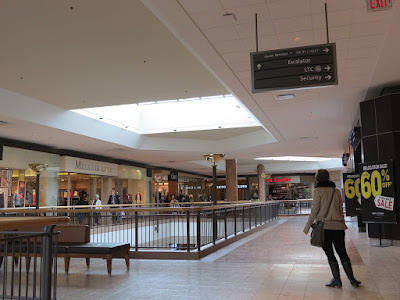 Sure, Masonville Place is a well-kept, luxe-looking mall that's been steadily updated and refreshed over the years. Its owners have added marble and gold-tinged finishings to just about every visible surface. The lighting has been tweaked and even the furniture's been replaced to make things look more tony. The stores may not be as ultra-high-end as an average mall in Dubai, but they're as up-there as you'll likely find in a mid-sized city smack in the middle of the agricultural belt. Pretty as it may be to look at, though, Masonville Place isn't immune to the tectonic shift that's reshaping retail not just here, but everywhere. It lost its main anchor, Sears, almost two years ago, and Target imploded earlier this year, leaving two ends of the mall to wither in the shadows. Signs covering the now-shuttered stores promising "Excitement is building," coupled with the growing number of empty stores in other parts of the mall do little to counter the growing cynicism that things aren't as rosy as they could be. As you can see here, things weren't exactly hopping on what probably should have been a busy Saturday morning. Giant signs sticking well into the main walkway seemed to beg the few shoppers who were there to sample their wares. Sadly, it didn't seem to be working. I do hope they figure it out, though (suggestion 1, update your website.) Because as maligned as malls are - and as much as they're still blamed for the death of on-street local retail - it's still sad when community resources (and let's be honest with ourselves, malls qualify as such) fall on hard times. 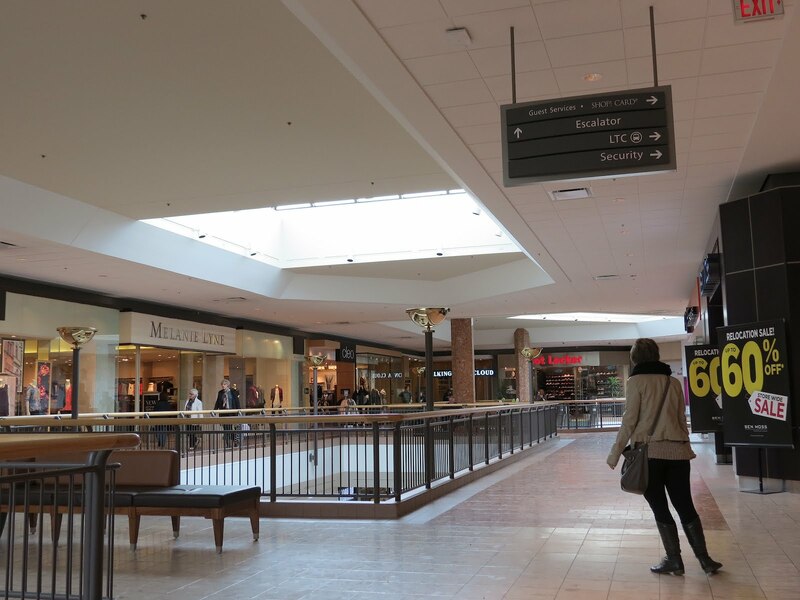 Your turn: Do malls have a future? Should they?